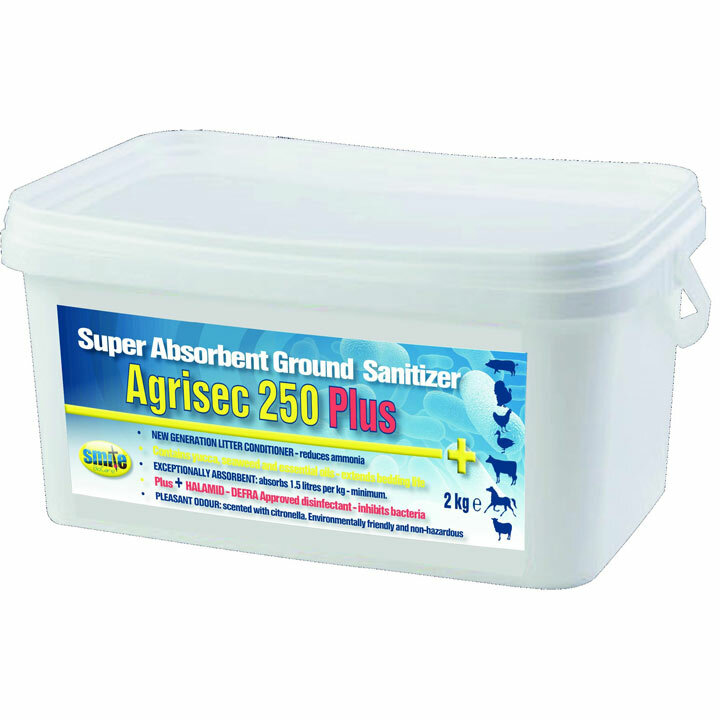 A "new generation" ground sanitiser with Halamid (Defra approved) disinfectant powder for improved germ killing properties. Natural ingredients including yucca (combats ammonia), seaweed and essential oils plus Halamid. This sanitiser absorbs at least 1.5 litre of water per kg of product, forming dry clumps which are easy to remove. Use around drinkers and other potential wet areas of the run.